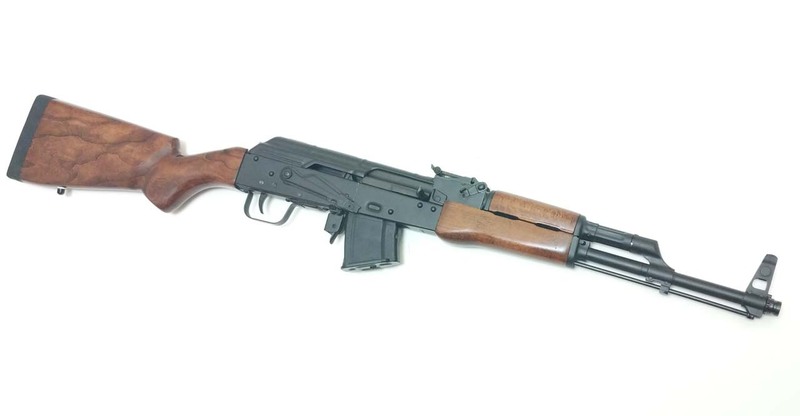 California legal Lee Armory AKM rifles are available from Cordelia Gun Exchange! The AKM (Modernized Kalashnikov Automatic Rifle) is a 7.62mm assault rifle designed by Mikhail Kalashnikov. It is a common modernized variant of the AK-47 rifle developed in the 1940s. 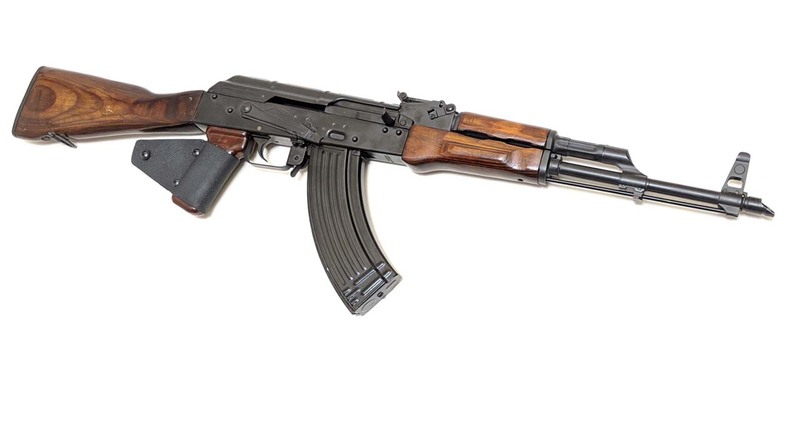 Introduced into service with the Soviet Army in 1959, the AKM is the most ubiquitous variant of the entire AK series of firearms and it has found widespread use with most member states of the former Warsaw Pact and its African and Asian allies as well as being widely exported and produced in many other countries. 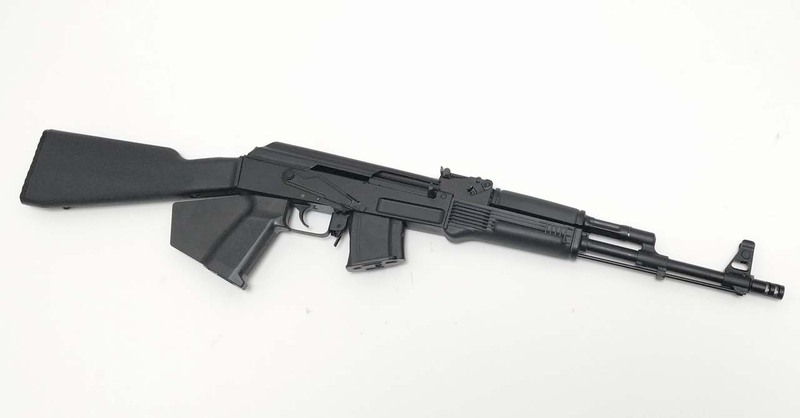 The production of these rifles was carried out at both the Tula Arms Plant and Izhmash. It was officially replaced in Soviet frontline service by the AK-74 in the late 1970s, but remains in use worldwide. 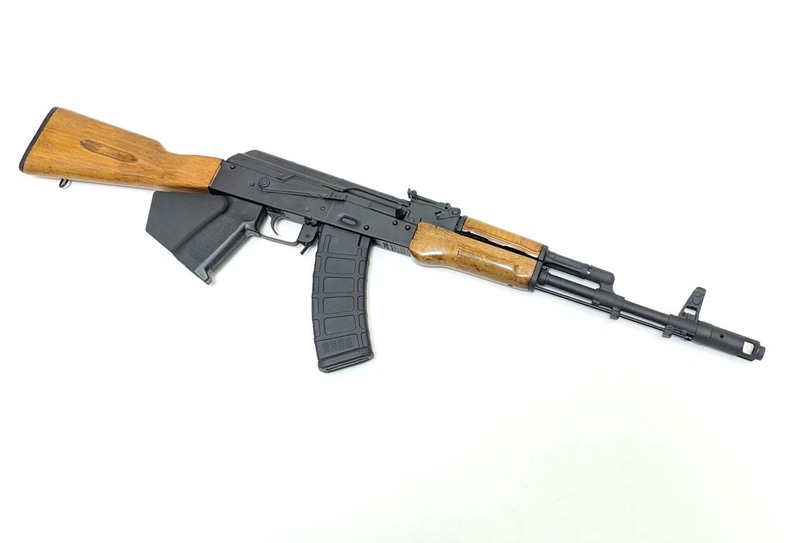 Compared with the AK-47, the AKM features detail improvements and enhancements that optimized the rifle for mass production; some parts and assemblies were conceived using simplified manufacturing methods. Notably, the AK-47’s milled steel receiver was replaced by a U-shaped steel stamping. As a result of these modifications, the AKM’s weight was reduced by ≈ 1 kg (2.2 lb), the accuracy during automatic fire was increased and several reliability issues were addressed. The AK-47’s chrome-lined barrel was retained, a common feature of Soviet weapons which resists wear and corrosion, particularly under harsh field conditions and near-universal Eastern Bloc use of corrosively primed ammunition. The AKM’s receiver is stamped from a smooth 1.0 mm (0.04 in) sheet of steel, compared with the AK-47 where the receiver was machined from heavier gauge steel. A rear stock trunnion and forward barrel trunnion are fastened to the U-shaped receiver using rivets. The receiver housing also features a rigid tubular cross-section support that adds structural strength. Guide rails that assist the bolt carrier’s movement which also incorporates the ejector are installed inside the receiver through spot welding. As a weight-saving measure, the stamped receiver cover is of thinner gauge metal than that of the AK-47. In order to maintain strength and durability it employs both longitudinal and latitudinal reinforcing ribs. 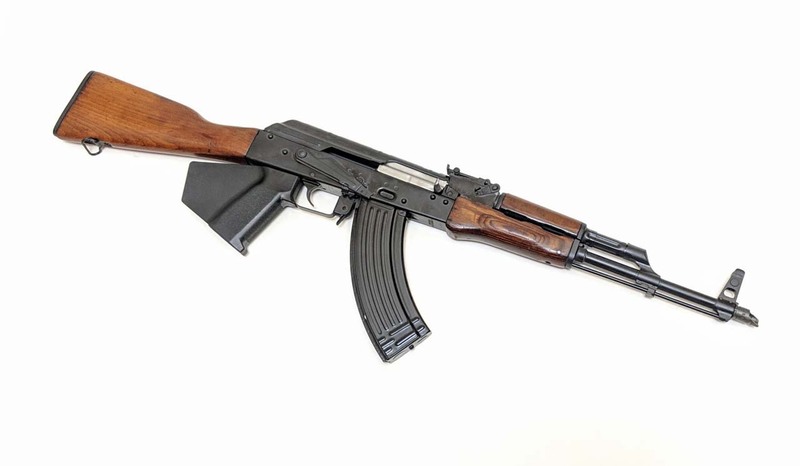 The AKM is an assault rifle using the 7.62×39mm Soviet intermediate cartridge. It is gas operated with a rotating bolt. The AKM is capable of selective fire, firing either single shots or automatic at a cyclic rate of 600 rounds/min. Despite being replaced in the late 1970s by the AK-74, the AKM is still in service in some Russian Army reserve and second-line units and several east European countries.The GRAU officially designated the AKM as the 6P1 assault rifle.